Aston Villa signed Portuguese shot-stopper on Wednesday and became the first signing of Nassef Sawiris and Wes Edens era. 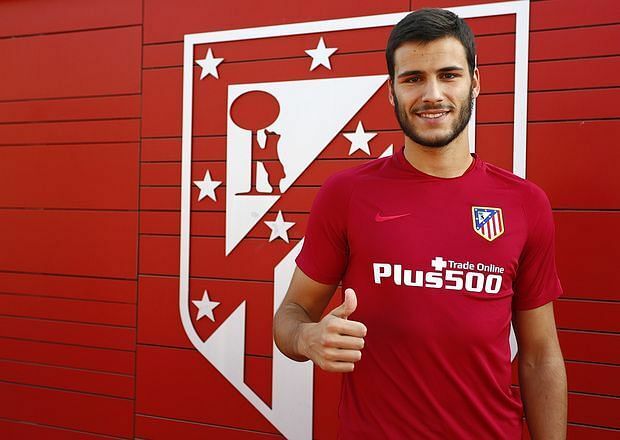 Moreira has joined AVFC on a season-long loan deal from Atletico Madrid. Villa signed the additional goalkeeper, Andre Moreira, following the departure of Sam Johnstone. Sam Johnstone was sold by Manchester United in the current transfer window. Moreira will experience the heat from his counterpart in the side, Jed Steer, for the No. jersey. According to the reports, the player is expected to undergo medical on Thursday. After the Red Devils failed to secure either Bale or Toni Kroos in the current transfer window, it was reported that Manchester United had offered a bid around £53 million for Mateo Kovacic. However, the reports from Metro states that Kovacic has declined the move to Old Trafford following Mourinho’s playing style. Meanwhile, Kovacic has expressed the desire to leave Real Madrid and has requested Florentino Perez to do the favour. This came after the player has failed to hold the regular place in the starting XI. The Croat arrived at Santiago Bernabeu in 2014 from Italy. According to reports from Express, Manchester United have been offered Axel Witsel by the Chinese Super League side, Tianjin Quanjian. Witsel has expressed his desire to move back to Europe after spending the last season in China, playing for the side Tianjin Quanjian. However, the Red Devils have many options in midfield. Recently, they signed Fred from Shakhtar Donetsk and have players like have Paul Pogba, Nemanja Matic, Scott McTominay, Ander Herrera and Marouane Fellaini. But, Mourinho knows that, if he has to land on Premier League title, he needs more signing. The German midfielder, Max Meyer, once attracted the attention of many European giants and left the club, Schalke 04, after running down his contract. But, Eagles of PL have pulled one of the biggest coups in the history of football by signing Max Meyer on a free transfer. According to the German sports outlet, Bild, Max Meyer’s representatives asked an astronomical £4 million as wages to the player. Eventually, this ended the interest of Liverpool and Arsenal. With time running out, Max Meyer’s price dropped out and the Selhurst Park-based outfit signed the midfielder.